Throughout the development process, the Next Generation Science Standards (NGSS) went through several rounds of review with multiple stakeholder groups. 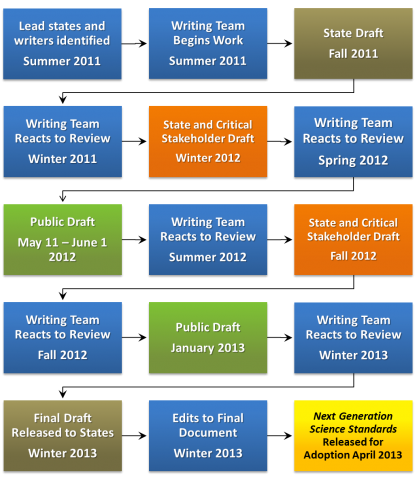 Each group received draft standards at least twice throughout the development process. Below is the general process and timeline for the development of the NGSS.